490 El Camino Real is a mixed-use development with 71 residential units and 21,200 square feet of retail/office use over an underground parking garage. The two, three, and four-story building heights provide a stepped massing to the street corner and wrap around outdoor courtyard areas. 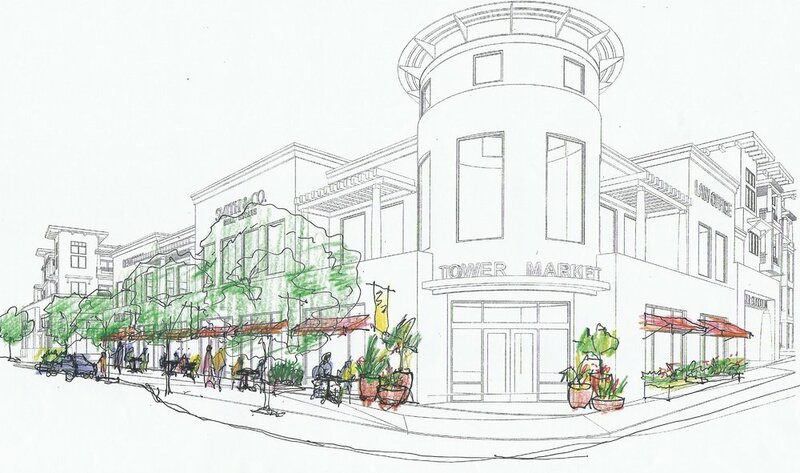 The commercial uses enliven the El Camino Real frontage with retail at the street level and office space above.